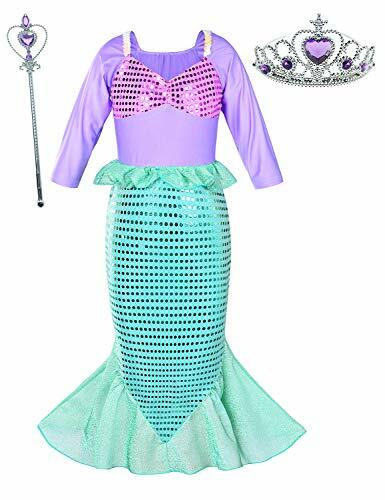 Under the sea and now on the land your little girl will look adorable in this mermaid costume. 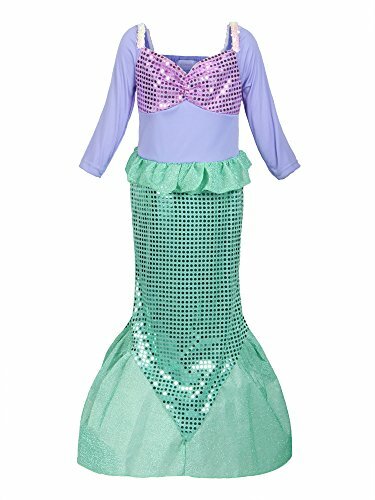 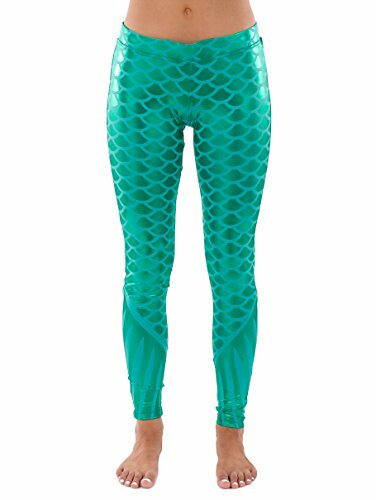 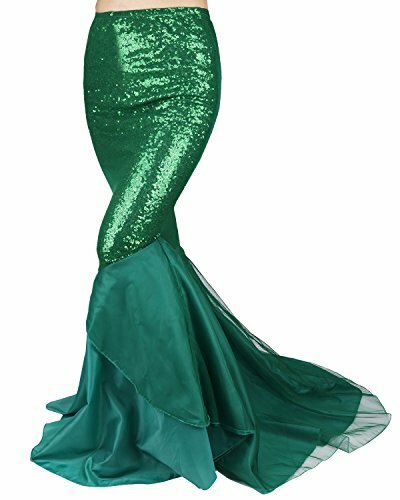 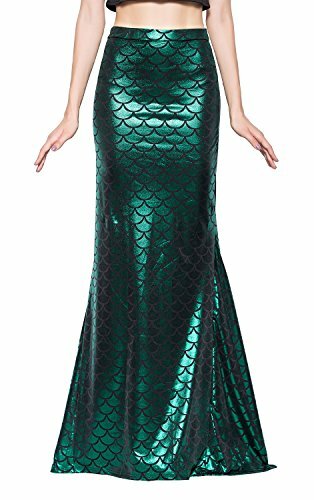 This cute mermaid costume features a full length outfit which glitters as your little mermaid makes her way around. 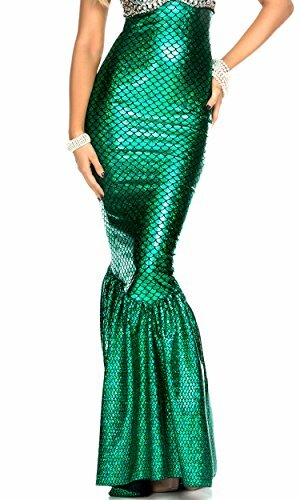 A headband is included to make sure you can get the most out of her look. 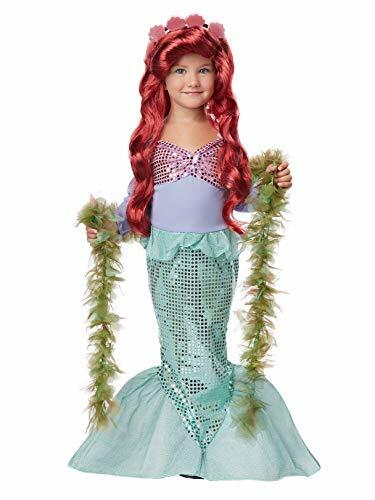 The material has a periwinkle top and a green bottom, and as soon as she slips into it any little girl will start to feel like a real mermaid princess.